It is the conversion of computer data from one format to another. During a computer situation, data is encoded in a variety of ways. The OS (operating system) is predicated on certain standards for data and file handling. Moreover, each computer program handles data in a different manner. Whenever any one of these variable is changed, data must be converted in some way before it can be used by a different computer, OS or Program. Even different versions of these elements usually involve different data structures. It may as simple as the conversion of a text file from one character encoding system to another; or more complex, such as the conversion of office file formats, or the conversion of image and audio file formats. There are many ways in which data is converted within the computer environment. This may be flawless, as in the case of upgrading to a newer version of a computer program. 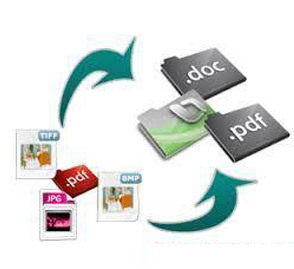 In some cases, a program may recognize several data file formats at the data input stage and then is also capable of storing the output data in a number of different formats. Such a program may be used to convert a file format. If the source format or target format is not recognized, then at times third program may be available which permits the conversion to an intermediate format, which can then be reformatted using the first program. There are many possible scenarios. It can occur directly from one format to another, but many applications that convert between multiple formats use a essential encoding by way of which any source format is converted to its target. The objective of data conversion is to maintain all of the data, and as much of the fixed information as possible. This can only be done if the target format supports the same features and data structures present in the source file. Conversion of a word processing document to a plain text file necessarily involves loss of formatting information, because plain text format does not support word processing constructs such as marking a word as boldface. As a full-service firm, we are equipped to handle small as well as large volumes of data entry works. In all the online data entry services we offer, we guarantee customization and strict adherence to deadlines always. We currently operate with extensive capabilities to capture data and text from virtually any computer medium and format as well as from paper, microfiche and microfilm. 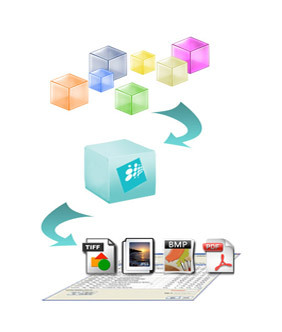 E-provide comprehensive data conversion services covering a multitude of formats. Our process starts with understanding your requirement till you accept satisfactory delivery. 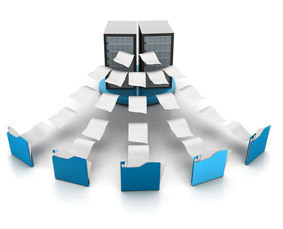 Our services include the entire data conversion process to any electronic format. 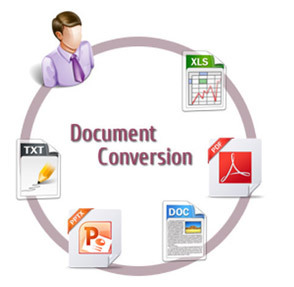 We can convert your business documents in any form and format to another – all with the required accuracy and precision.